Well done Cody, Jake, and Ariana for moving to stage 4 basic facts. They all got 100% in under 3 minutes. They are now working on their green stage 4 basic facts rocket. WOW! Congratulations Cody, Jake and Ariana. Mum and Dad are so proud of you Ariana. You have been working really hard on your maths. Keep up the great work. We know that you will work hard on the stage 4 facts. Thanks Mum. I have been working hard on my stage 4 basic facts Rocket. 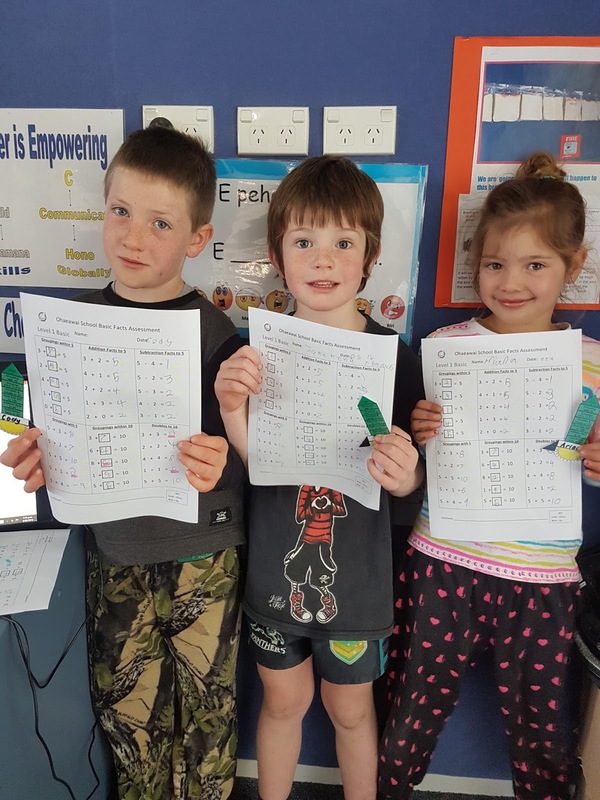 Hi Cody,Jake and Ariana, My names Alex and I attend school at Kawakawa primary. Awesome work on passing stage 3 and getting stage 4,all the learning that you will be doing over the years really pays off in college and university. Kia ora room 5 my name is Darnica and I go to Kawakawa Primary School. You guys must be so proud of yourselves that you guys went up to stage 4. Was the mathematics hard for you? keep up the work guys hoping I see more of your work. Hi my name is Tremaine and I Kawakawa primary school.Well done cody,Jake,Ariana yous must be very brainy you must really know basic facts very well.Is your parents proud of you?How hard did you work to get to that stage? Stage 4 that is such a high level for grade 2. You did that in UNDER 3 mins WOW! !